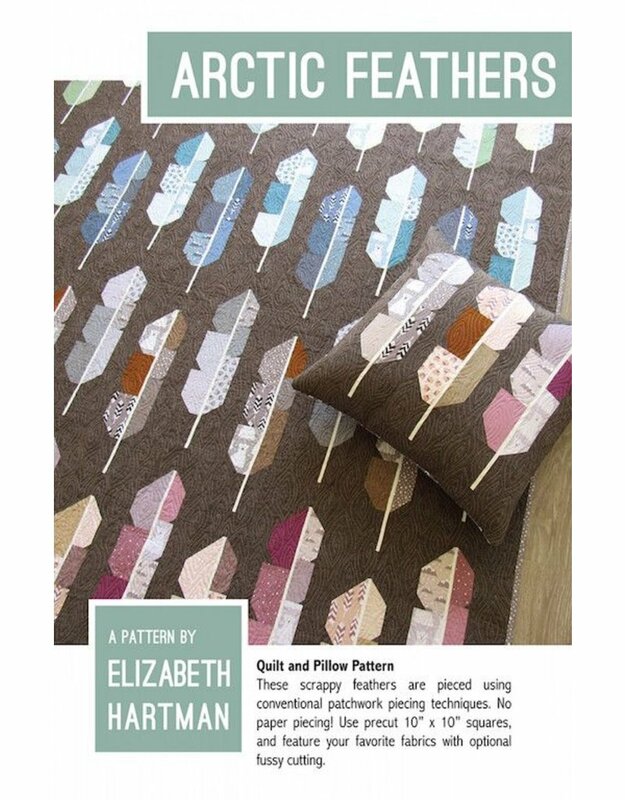 Arctic Feathers - going batty! Patchwork feathers quilt pattern featuring baby 70in x 80in picnic quilt, 58in x 62in lap quilt, 34in x 44in baby quilt, and 20in x 20in pillow projects. 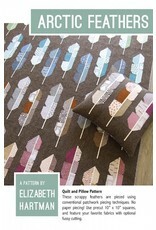 Pattern can be made with 10in precut squares and includes guides for optional fussy cutting. All projects are made using conventional patchwork techniques. No fussy cutting!